Rapid Mold Removal, LLC uses the latest technology and techniques to safely remove and clean mold from your home or business. Unlike other contractors who do a little bit of everything, RMR specializes in water and mold which makes our highly trained and experienced technicians the best in the mold industry. 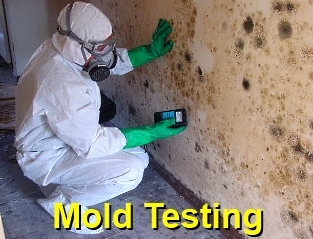 We have a unique and revolutionary process to assess your mold needs and remove it...fast. “Rapid Mold Removal” isn't just our name; it's how we do business! Mold spores rapidly colonize when moisture is present in a structure. Only professional mold remediation will solve this problem once it starts. It takes special knowledge and techniques to perform mold removal in the proper manner. Your Home is Supposed to Provide Protection, But it Could be Making Your Family Sick. Assessment of the situation is the first step in the mold removal process. This allows our professionals to document all mold damage, and devise a plan to remedy the situation. Most of the time we can guide you through this over the phone if you have pictures or an inspection report. Other times a site visit is necessary for a small fee which is taken off of the mold removal quote once services are performed. The information collected through the remote or in-person assessment will help us document and perform a thorough mold remediation process to return your house or other structure back to a healthy environment once again. Containment and removal of the mold is next in the process of mold remediation. If water is present, both the water and mold will need removing at the same time during mold remediation to keep the mold from spreading to other parts of the structure. Containment is very important in the mold removal process and should have engineering controls to protect your home and family. Our technicians will clean the area along with your furnishings and belongings with color/material safe methods to ensure that no further damage occurs during this step for mold remediation. They also may use antibacterial and antimicrobial solutions to remove any mold off all areas or items that merit such treatment. In some cases, content cleaning professionals may be needed to help with this process during mold remediation. Mold feeds on organic materials, such as wood, cellulose insulation, and drywall. This makes these materials weaken to the point of crumbling or decaying. In this case, our mold removal professionals will carefully remove these materials. Once removed we may conduct repairs, ask us if we provide repairs in your area. Painting, called encapsulation, is sometimes the last step in mold remediation. 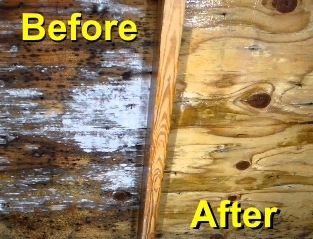 Wood components also may require a coat of paint/encapsulant after the mold has been remediated. An encapsulant has anti-microbial properties and usually comes with a warranty if done by a professional. Once the surface dries from this final mold removal step, you will once again be able to use your structure safely. You should understand certain facts about toxic mold to realize how important it is to act quickly to receive mold remediation when you find it in your structure. 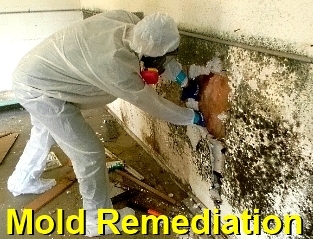 We Are America's #1 Mold Remediation Team. Important Facts about Black Mold: Mold spores thrive in dark, damp locations when moisture is available on a routine basis. They love a moist environment that contains organic substances on which they can feed. The Stachybotrys spores easily travel into a structure on people, pets, or just through open windows and doors. They are not very common and are present in only about 2% of the homes we perform mold testing or mold removal in. When water invades your structure from a storm, leak or other cause, mold spores will begin to multiply within 24 hours, becoming visible in a few days. This growth will cause health issues such as respiratory illness or allergic reactions in the people inside the structure. Immediate action is necessary to prevent the further spread of mold. Mold loves to latch onto drywall and wood to obtain nourishment. It digests these substances. This will weaken these materials and could cause decay to begin at least with the wood. Mold removal will prevent this type of damage from happening and limit your family’s exposure. Call us at the first sign of mold to prevent further spread or damage from occurring. Mold remediation will bring the mold back under control to where it is not a danger to your structure or to the health and safety of the occupants.